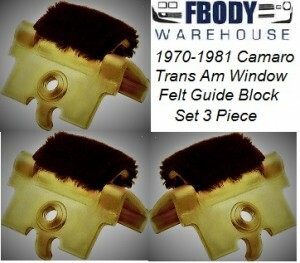 These are the window felt blocks which mount on the top of the door frame on 70-81 Camaro and Trans Am. Some years will use 2 per door and some use 3 per door. 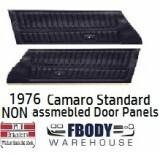 If needing for both doors remember to make your quantity 2 at when adding to the cart. These allow the door glass to slide up and down without scratching the glass. After 30 years the GM installed units worn down and once they hit metal your window scratches each time you raise and lower it. These should always be replaced about once every 15 years. The best way to prevent window scratches bar none is the replacement of these units. Produced by OER these are GM authorized reproduction units. 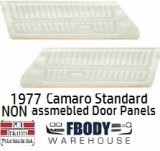 If needing for both doors remember to make your quantity 2 at when adding to the cart. These allow the door glass to slide up and down without scratching the glass. After 30 years the GM installed units worn down and once they hit metal your window scratches each time you raise and lower it. These should always be replaced about once every 15 years. The best way to prevent window scratches bar none is the replacement of these units. Produced by OER these are GM authorized reproduction units.